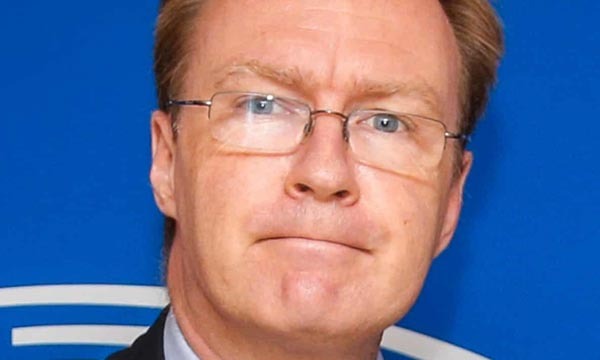 Liberal world orders can collapse, says Sir Ivan Rogers, and do so when the players in key capitals are so embroiled in domestic political crises that they can no longer think straight about the interests and incentives of those on the other side of the table, and can no longer take decisions requiring a vision beyond the next few months. That is how Ivan Rogers opened his speech to the Annual Gala Dinner of the British Irish Chambers of Commerce in Dublin, on which I commented yesterday. Now, Sir Ivan has been good enough to send me a copy and, because of its importance and the relatively thin coverage in the legacy media, I thought it would be useful to precis it here. The speech fully captures the gravity of the current situation. We're in a mess and Sir Ivan doesn't care who knows it. To get out of it, he says, both sides need "a stable, amicable post Brexit settlement, not an endless toxic running battle". For those who want a "WTO deal", says Sir Ivan, there is "of course" no such animal. There simply isn't a WTO "rule book" on which to fall back. But, he says, advocates of "no deal" know this really. They know that a genuine "no deal" would bring several key sectors of the economy to a halt. However, we are all aware of the counter. The argument runs that European self-interest will be the deus ex machina which delivers a whole set of "legal mini deals" ensuring that it's all alright on the night. That is an argument for which Sir Ivan has no time. "This is, I fear, simply delusional", he says. Thinking it through, in any breakdown scenario the prime minister would refuse to pay the exit bills. The EU response to which would be a refusal to resume normal trading relations with the UK unless and until it had agreed to honour its full debts. With emergency provisions in force which enabled the EU-27 to continue operating, that would not mean the complete cessation of all business. Rather, we would see an entirely unilateral and deliberately asymmetric selection by the EU of where there will be continuity and where there will not. "This", declared Sir Ivan, "is not taking back control. That is giving it up". The EU would calculate that the UK would be back at the table with its chequebook out within the week. Nevertheless, he warns, do not run away with the idea that this scenario could not happen. If the talks broke down over the backstop issue, or if no Parliamentary majority could be found for whatever proposition is on the table, the legal default is "no deal". Interestingly, this is something he says the EU side of the table needs to understand. If the prime minister is left with something that "a decent chunk of the Conservative Party cannot bring itself to vote for", that is where we're heading. Thus, the EU27 needs, at leader level, very seriously to work through now where it wants these negotiations to end. In what has been a technocratic process, the EU-27 have put their own interests in the key issues for the Withdrawal Agreement first, and said that all the substance of the future economic relationship is for another day, and for a different negotiation commencing only after Brexit. Dwelling on a few home truths, Sir Ivan pointed out that none of this was difficult to foretell. Leaving the EU would be a tortuous process not an event, would take years to get right, and would involve hundreds of individual issues and complex trade-offs on both sides. No FTA on the planet has been easy and rapid to negotiate, and this is the first one on the planet which will be between partners seeking to diminish rather than enhance their level of trade liberalisation and integration. And while this makes the UK a unique proposition as a third country which has previously been a member, it does not necessarily make the negotiations easier. In fact, it makes some of them appreciably harder, because the UK argues for the status quo on market access rights while the EU rejects the idea of giving these privileges to a non-member, and is wary of setting precedents which other non-members would aim to capitalise on. It is also genuinely peculiar that those people whose strongest case against the UK's membership has always resided in saying that the Union's deepening integration had taken hold in every nook and cranny of UK life, primarily via the inevitably huge legislative programme entailed by any supranational Single Market, should then seem surprised that taking oneself deliberately out of the Single Market should entail the completely automatic re-erection of barriers to trade that had only been dismantled via that legislation. I stress "automatic". The EU's position is not wilful, vengeful or a fresh voluntary decision. The barriers resume because we British have chosen that they should. That is what Brexit means: Brexit. For the UK, if it wants to leave the Single Market, it should not pretend that trade will be at the same level on the same terms. It will not. Nowhere near. And on services, the difference will be radical. To get to the substance, though, Sir Ivan notes that there are two sides to this. The EU has choices and there needs to be a serious strategic sustained discussion at the level of heads of Government of where it wants to go with the UK once we have left, and what that means for its own place in the world. AS it stands, the only viable options are the straight "Canada Dry" FTA or the EEA. And here the temptation is for the EU to say, let's just get the Withdrawal Agreement, with the backstop, and the money, in the bank – keeping the Political Declaration vague and open enough to enable the British prime minister to try and ram it through, saying to the House that the only alternative is the abyss, and to her Party that the only alternative if it does not pass is a General Election. Even if this is the most likely course, there are two problems. On the one hand, it may very well lead to an accidental "no deal" and consequential huge EU-UK crisis. On the other – even with some "bells and whistles" on trade facilitation, packaged with deeper agreements on non-economic issues – it would deliver a very substantial dislocation for the UK economy as soon as the status quo transition had ended. Given these choices, this is why the likes of Nick Boles are now desperately casting around for a new plan. But his "Norway first, transiting to Canada" model is simply yet another pipe dream, which the EU has no reason to agree, even if it were a different prime minister coming to the table with it, and even if it were legally possible. Whether or not some other way out could have been sought two years ago, it is too late now. They are not, in Autumn 2018, going to refashion the entire permanent EEA framework now so we can have some temporary comforts on our way to being a third country. Says Sir Ivan, "I am tempted to say that only a Brit could imagine otherwise". As for the EU, Sir Ivan argues that it should not be looking for just a bog standard third country relationship with the UK, like any other. The relationship has geostrategic implications, particularly given the current fragile state of the West. And the EU needs the UK to want to remain a major player on the European continent, and in confronting common challenges, economic as well a diplomatic, as we have for centuries. It is wholly against the EU's own interests, as well as ours, to see the relationship descend to into one bedevilled, even defined, by trade and anti-dumping flare-ups, by mutual recriminations over distortive tax and subsidies regimes and by regulatory arbitrage. Obviously, the Irish border question and the "backstop" is the biggest stumbling block to getting a Withdrawal Agreement over the line but, says Sir Ivan, "I am not sure the EU-27 can seriously expect a UK prime minister to swallow a combination of a political declaration pointing to a "Canada Dry" style destination coupled with a Northern Ireland specific permanent backstop". He thinks that the only way one can see the prime minister selling a Withdrawal Agreement with a legal all weather backstop in it is if she is simultaneously able to point to a Political Declaration which suggests a trade deal for all UK which will obviate the need for such a backstop ever to come into force. That said, Sir Ivan is convinced that Chequers as it stands, is a non-starter with the EU. But, he says, an EU response which purely rebuffs, which says "let's deal solely with the withdrawal issues and keep the Political Declaration as vague, aspirational and ambiguous as possible", or one which pins down that the only viable destination on offer is a Canada style FTA, with add-ons, will merely set up further conflict and mutual alienation down the line. If EU leaders now think, where they might want the EU-UK relationship to be in a decade or two, then they need to think hard this autumn about where we are heading. Whatever else, Sir Ivan says, Chequers represents a prime minister who now recognises that across many key goods sectors, "divergence on standards is a chimera which only sounds good to those who have not bothered to understand what friction free trade entails in the 21st Century, have never read an FTA, and who privilege theoretical autonomy over real free trade, and who have little or no understanding of trade in services". The EU-27 ought, in his view, "to have the sense to build on that, and build on the good elements of Chequers on future governance arrangements, and reflect profoundly on the depth and amity of the economic relationship they want". If they do not, he concludes, "I think we shall be looking back from 2038 wondering why the rupture became so much deeper than was desired by any of the main players".